Jojo and Rosalind are back and the fashion is hotter than ever! 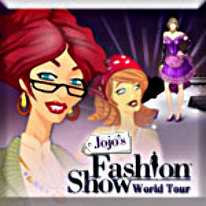 From Japan to Barcelona, racks full of vibrant clothes and lifelike new male and female models await in Jojo's Fashion Show: World Tour. Mother and daughter designers, Jojo and Rosalind Cruz, have finally earned a name in the fashion world. Now Ros is leaving the nest to pursue her own dreams and Jojo must find a reliable replacement. As backstage drama unravels, Jojo quickly discovers that fair-weather friends and ruthless enemies are closer than she ever suspected.